Joel Embiid has inked a shoe deal with Under Armour. The worst-kept secret in the sneaker industry has finally been revealed to the masses. Joel Embiid is a free agent no longer and has inked a deal with Under Armour that will make him one of the biggest stars of the brand alongside Warriors guard Steph Curry. If you've been paying close attention during the preseason, there are no surprises here. Embiid has been spotted rocking Under Armour kicks during practices and games alike, but remained cagey about whether he was jumping ship from adidas. Many fans will only be concerned about his health and performance in these shoes anyway, and neither appears to be suffering after a dominant preseason for the big man. The significance Embiid will have as an Under Armour athlete should be clear based on the manner in which they are announcing it. 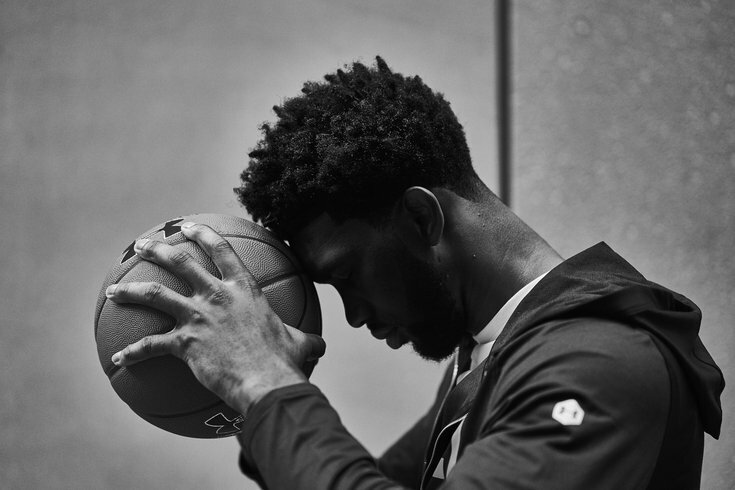 Rather than having a standard press release sent out en masse, Embiid sat down and wrote (or at least helped write) a personal letter about his journey to where he is today, reflecting on the years of work it took to get to his current perch. A lot of it you've heard before, from his stories of being discovered by Luc Mbah a Moute to how pretty he thinks he's going to look in his new shoes. 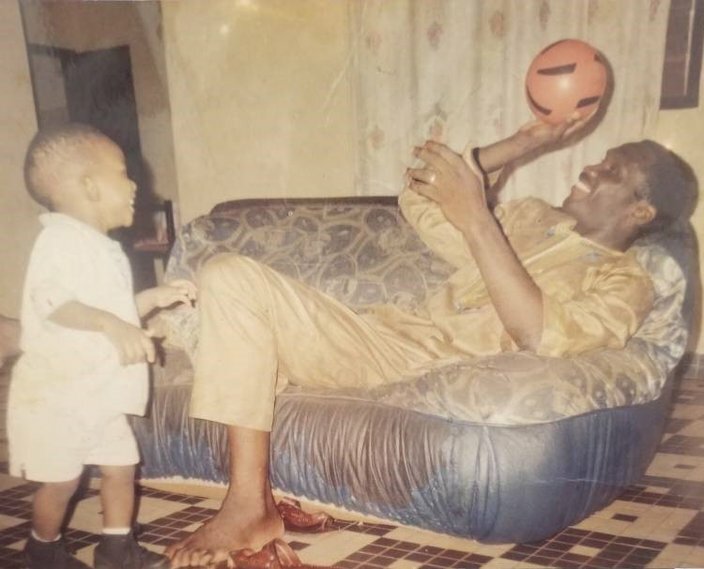 But Embiid opened up about a subject that perhaps has been glossed over a bit too much locally: the tragedy of losing his brother, and the degree to which Arthur Embiid continues to inspire him. In Cameroon, it’s just different. My parents wanted me to be a doctor, you know? They were proud of me, but they don’t really care about the NBA like that. The one person who was so hyped was Arthur. He started following in my footsteps, playing ball, and he wanted to follow my path to America. Embiid has had to cope with a lot during his short time in Philadelphia, thousands of miles from the family and country that raised him. His rise to become one of the best and most well-known players in basketball seems impossible when you think on how little he has played compared to his peers, and how much he has gone through on and off the court in a short span of time. One of the interesting subplots (at least if you're interested enough in sneakers to be reading about this stuff) will be what impact Embiid can actually have as a product mover. His profile is unique among his big-man peers and he may be the most outsized personality in the paint since Shaquille O'Neal, but big men do not typically move sneakers. That's a space usually reserved for guards and forwards, as you can tell by running through the list of athletes with the best-selling signature sneakers of the moment: LeBron James, Kyrie Irving, Kevin Durant, Curry, and James Harden. Honestly, when I came back after being injured for two years... I literally thought y’all were gonna boo me out of the building. The bet on Embiid is a bet on the lane he has carved out for himself both on social media and on the court. We haven't seen many (if any) other big men openly feud with Russell Westbrook or use Instagram location tags to clown on opponents they've beaten, so maybe Embiid can shatter the mold and give Under Armour the second megastar they're after. I already know of one special surprise Embiid has planned for the city coming later this afternoon. And given everything he has given to the city in such a short timeframe, I wouldn't doubt he has plenty more for Philadelphia before it's all said and done.